Paul McCartney once said the most ideal music is choral music. Neil Nongkynrih, founder of the Shillong Chamber Choir, couldna��t agree more. a�?Unlike a band, a choir can have anywhere from eight to 100 singersa��giving a richness to the performance,a�? says the Trinity College-trained pianist-composer who is bringing his choir to the city tomorrow. Started in 2001, the choir was an attempt to give young people something fun to do in the strife-torn North-East. a�?Amidst curfews and the sounds of guns, I wanted them to have a life,a�? recalls the 44-year-old. Though they started small, their popularity slowly grewa��leading to performances at the Rashtrapati Bhavan and with the Vienna Chamber Orchestra. Winning the 2010 edition of Indiaa��s Got Talent, however, was a turning point. a�?Now we are a professional choira��more groomed and experienced,a�? admits Nongkynrih. 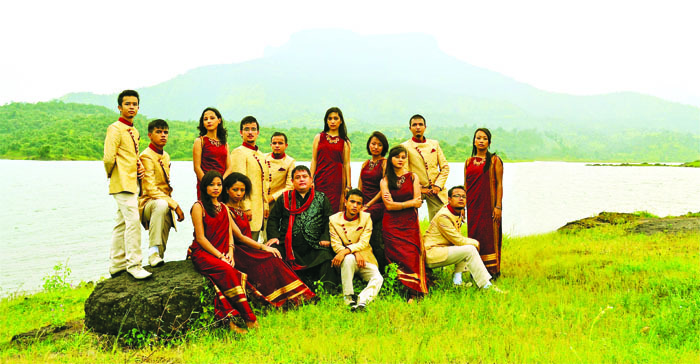 The 12-singer choira��s strength is in reinventing existing melodiesa��from old Bollywood pieces to Western classics. But thata��s not to say they dona��t do original compositions. a�?In Chennai, besides rearranged pieces and a couple of Tamil songs by Ilayaraja, wea��ll also do a Khasi folk opera and a fusion piece between tabla, piano and the choir,a�? he says. With performances lined up in Bangalore, Mumbai, Delhi and Kolkata next, they are also planning a bigger version of their concert in January. a�?It will be like a Yanni show, with 40 musicians and the choir,a�? he signs off.